Will the Schwalbe Durano Plus shrug off the pothole plague? CycleTechReview.com has just recieved a set of Schwalbe Durano Plus tyres, which we’ll be testing over the winter. After reviewing their Ice Spiker and CX Pro tyres we’ve got high expectations for the Durano Plus tyres. Winter riding around Sussex lanes means dealing with flints and potholes. 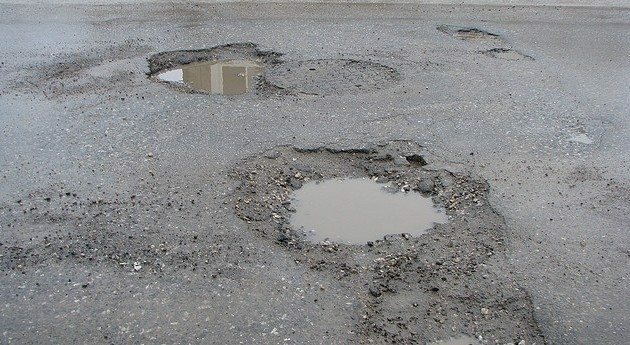 In fact this year has seen a rash of wheel swallowing potholes appear all over the county’s roads. Combined with unusually high rainfall, which washes the above mentioned flints onto the roads, this means that most group rides will include a puncture. As we all know the only thing worse than getting a puncture, is waiting for your mate to fix his, for the umpteenth time. Schwalbe’s answer to the slings and arrows of the puncture war is the Durano Plus. Designed as a fast training tyre, hopefully the Durano Plus will be able to fend off these attacks. Sitting at the top of Schwalbe’s protection chart (6 in case you wondered) and utilising a 5mm thick SmartGaurd rubber protection strip, that Schwalbe claims can shrug off even a drawing pin, that’s the puncture protection box ticked. But with great puncture resistance comes great weight, doesn’t it? Well the Durano Plus tips the scales at 358g and whilst not a lightweight all that extra rubber should guarantee a flat free ride. The SmartGaurd layer creates a noticeable bulge in the tyre, it’s easy to believe that even a drawing pin would have trouble piercing all that rubber. Unlike it’s more colourful racing brothers, the Durano Plus comes in one colour – winter friendly black. The bold silver and white Schwalbe logos help with the aesthetics, so they should keep their looks. Looking at the Durano’s stats, we came across a figure of 67 EPI (which stands for ends per inch, more commonly called TPI, threads per inch) and this seemed rather low, until we read that when a tyre is made the carcass is folded over itself. This creates a three-fold layered construction, which means 67 EPI becomes 201 EPI. 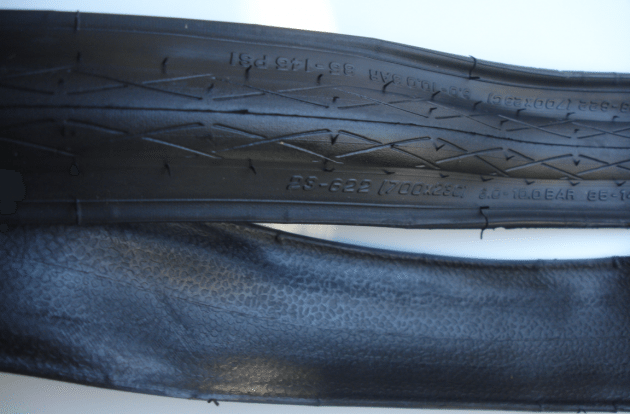 Apparently this is how all makes of tyres are made, but Schwalbe differ in that they publicise the EPI figure for the original single carcass layer. Nice to know. Schwalbe put a cross pattern onto the shoulder of the Durano Plus which may help if you are going to be doing some really hard cornering in training. But all the grip on a bicycle road tyre comes from the compound and it’s contact patch and interestingly Schwalbe calculate that for a bicycle to aquaplane, it would need to be travelling at 200kmh, so we should be safe! After watching Jens Voigt sing the Durano’s praises we think, if it’s good enough for the pros to train on, then it’s good enough for us. (Note that the video below is in German so you can turn the sound down and watch it at work but make sure you click on the subtitles to get English text).